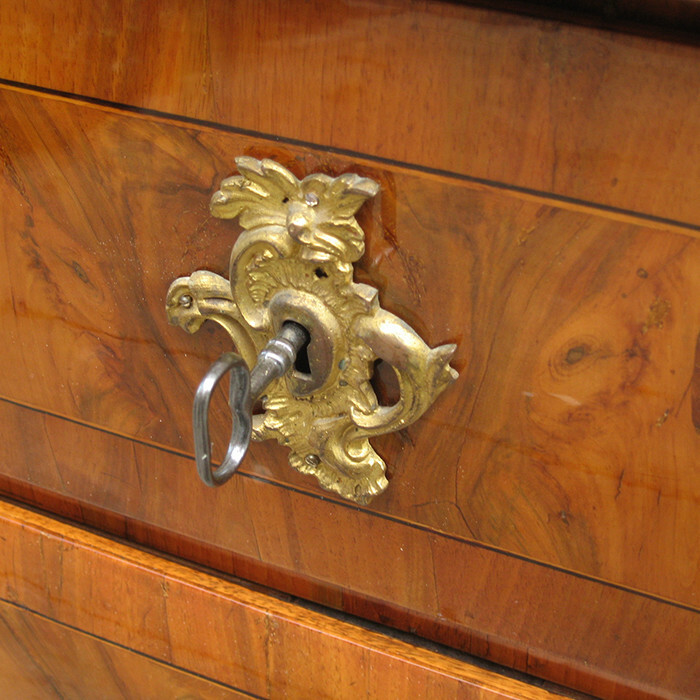 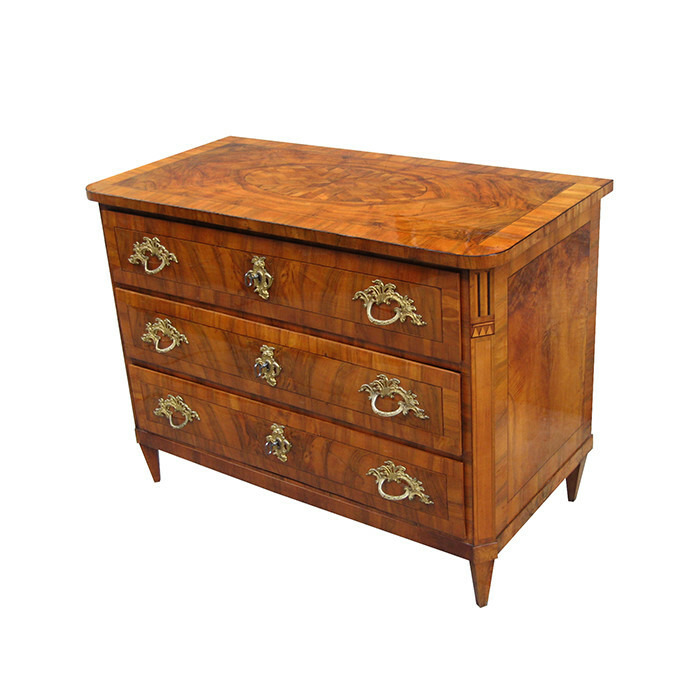 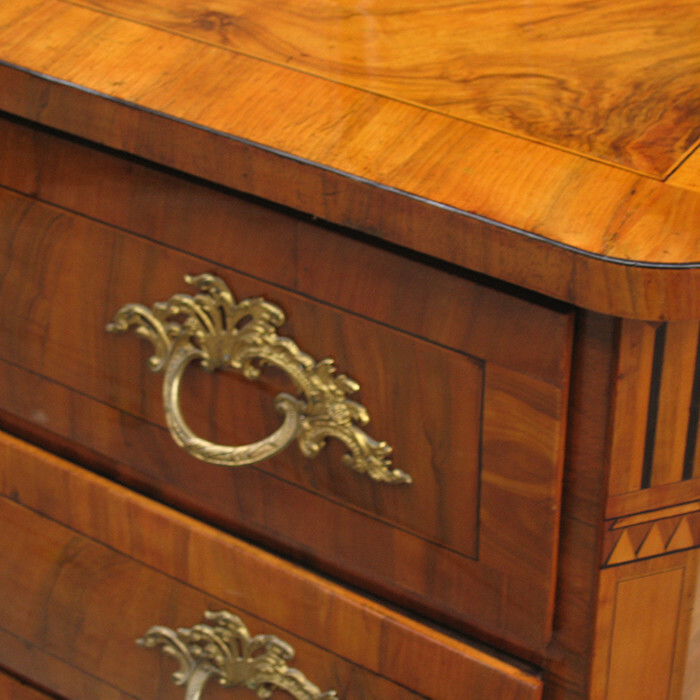 A fine Rococo Three drawer chest. 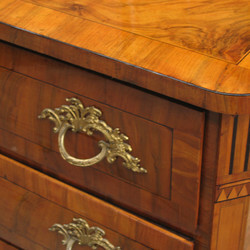 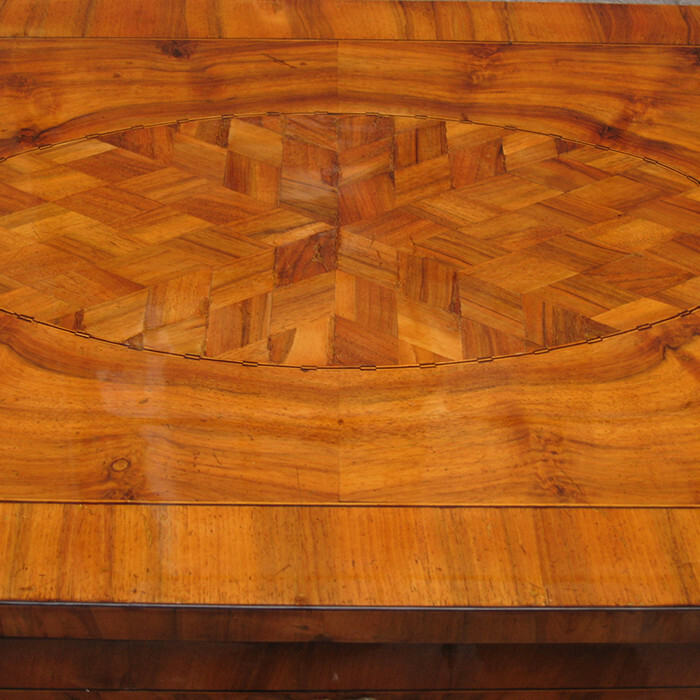 Walnut and walnut burl with marquetry details,ebony and fruitwood inlays with patinated bronze pulls and escutcheons. 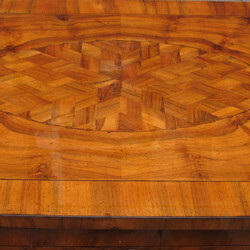 Dimensions: H:34 W:46½ D:23¼ Inches.